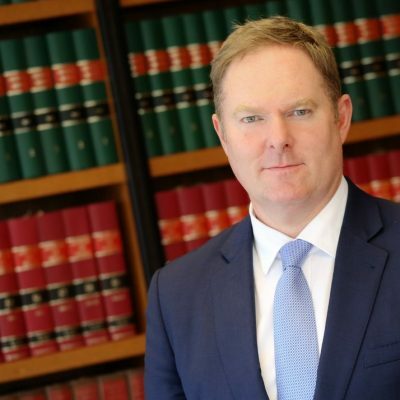 Andrew is a barrister who specialises in high value commercial disputes, fraud and white collar crime. He is also a qualified fraud investigator. He has an excellent reputation for assisting victims of fraud to recover their misappropriated assets. Andrew also has an impeccable record defending individuals and companies alleged to have committed fraud in either civil or criminal jurisdictions, and persons defending proceedings commenced by ASIC, ACCC or other government agencies: most recently the successful defence of AWB Ltd senior executive, Peter Geary in ASIC v Flugge & Geary  VSC 779 and on appeal in ASIC v Geary  VSCA 103. Unlike most lawyers, Andrew has a law enforcement background and has fraud investigation qualifications and practical experience. He does the hard work putting all the pieces of the ‘jigsaw puzzle’ of sophisticated fraud cases together and achieves outstanding results. He appears in all courts in all States of Australia. Favourable early settlement of Supreme Court claim for victim insurance company in $16M fraud claim against former Claims Manager and others – after obtaining Freezing Order over the assets of the defendants and Search Order over the defendants residence. Federal Court of NSW defence for former employees sued by multi-national mining company in Federal Court of NSW for alleged misuse of confidential information in breach of contract. Supreme Court defence of company alleged to have induced breach of contract by former employees of plaintiff and misused confidential information. Successfully defended former AWB Ltd executive, Peter Geary following long running Supreme Court of Victoria trial brought by ASIC. ASIC failed to prove breach of ss. 180 & 181 of the Corporations Act 2001 by Mr. Geary during the period when AWB was selling wheat to Iraq under the UN Oil-for-Food program. See ASIC v Flugge, Geary  VSC 779 and on appeal in ASIC v Geary  VSCA 103. Represented large multinational company in plea of guilty to numerous breaches of faulty to comply with s.319 of the Corporations Act 2001. Defence of corporations and director in Federal Court (Qld) ACCC civil prosecution alleging breach of section 52, 53(c), 53(bb) and 60 of the TPA. Defence of liquidator in Federal Court, inquiry sought by ASIC alleging breaches of the Corporations Act. Defended director of labour hire firm in complex allegations of tax fraud on the Australian Taxation Office prosecuted by the Commonwealth DPP. Defended former Managing Director of Lamborghini Australia (Euro Auto Group) in complex fraud case issued by Victoria Police Major Fraud & Extortion Squad – all charges were dismissed following successful discharge application at Committal Hearing. Costs were awarded against the Chief Commissioner of Victoria Police. Had fraud charges under s.134.2 of the Commonwealth Criminal Code discharged against a client (company director) at the conclusion of a lengthy Committal Hearing. Obtained a jury acquittal for client charged by police with insurance fraud. Defence of client stockbroker charged by ASIC under s.1401A of the Corporations Act. Defended solicitor/accountant charged with fraud under Commonwealth Criminal Code. Advice to client charged with court-side betting at Australian Tennis Open – charges dismissed with costs.